After obtaining her doctoral degree in Medieval and Modern Art from the University of Florence, Alessandra Baroni—a native of Arezzo, Italy— continued her specialization in Old Masters Drawings and Prints obtaining her PhD in art history from the University of Utrecht, The Netherlands. She began to teach art history in 2001 at the University of Siena, Italy. In 2008-2009 Alessandra was a senior Andrew W. Mellon fellow at the Metropolitan Museum of Art in New York City. In 2009, she taught art history in several American academic programs in Italy. In 2010, she became the curator of the Bartolini Art Collection at the Fraternità dei Laici in Arezzo. Since 2011 she has served as the art history instructor within the University of Rochester semester program in Arezzo. Among her numerous publications on late Renaissance art is her monographic work on Jan Van Der Straet, Johannes Stradanus published in Rome (1997) and the book on the Medicean albums of prints in the Uffizi Gallery in Florence (2011). She is involved in a database project on the reconstruction of the scattered collection of Giorgio Vasari, the so-called Book of Drawings (14th-16thcenturies). Donna Logan, completed her undergraduate degree in New York before continuing her graduate work in Florence, Italy. A thirty-year resident of Italy, she has lived and worked in Arezzo since 1993. She is an English language lecturer at the Facoltà di Lettere e Filosofia in Arezzo and director on location of the Italian Studies in Tuscany program since 1996. Over the last thirteen years her wide-ranging contacts with the local student population, governmental and non-governmental organizations and associations have enriched University of Rochester student experiences in Italy. 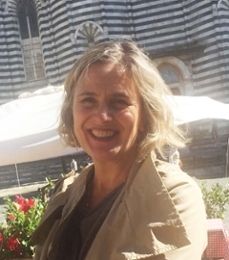 Donna Logan has a personal commitment to helping each participant in the Arezzo Program have a unique and enriching study-abroad experience in Italy. Renato Perucchio is Professor of Mechanical Engineering and of Biomedical Engineering at the University of Rochester. He holds a Doctoral degree in Aeronautical Engineering (Structural) from the University of Pisa, Italy, and a Ph. D. in Civil Engineering (Structural) from Cornell University. He has been on the Rochester faculty since 1984. In 1995 he received the Teacher of the Year Award from the School of Engineering and Applied Science. 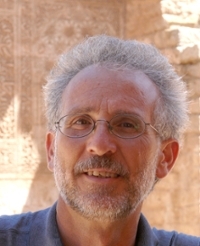 His research and teaching interests are in computational solid and structural mechanics and in the development of engineering practices in Classical Antiquity. Currently Prof. Perucchio and his students are engaged in two interdisciplinary projects in (a) biomechanics: computational modeling developmental processes in the embryonic heart, and (b) structural and solid mechanics: computational modeling of the mechanics of monumental concrete domes and vaults from Roman Imperial architecture. He has participated in the Arezzo program since its inception in 1994, teaching units related to engineering and technology in the Roman and Medieval World. Since 2003 he directs a special University of Rochester summer program abroad on Roman Structures that takes places in Arezzo and Rome. Federico Siniscalco, born in Naples, teaches American Studies at the University of Siena in Arezzo, Italy. In his work on American culture, and on intercultural communication, he uses documentary film both as a source of information—by researching and studying significant non-fiction films—and as a tool through which to represent various aspects of the USA and its people. Siniscalco is the founder and director of DavID (Digital audio visual Intercultural Documentation) www.david.unis.it. This research laboratory, created within the University of Siena in 2004, is dedicated to the production, subtitling and archiving of documentary films. Among the works subtitled into Italian and archived by DavID are the Maysles brother’s Salesman, Gimme Shelter, and Grey Gardens, Pennebaker’s Dont Look Back, Bob Drew’s Primary, Adventure’s on the New Frontier, and Crisis, and Les Blank’s Innocents Abroad. Since 2001 Siniscalco has been on the scientific committee of the Festival dei Popoli (International Documentary Film Festival in Florence, Italy), where he also taught classes on the history of Documentary film. For the Festival Siniscalco coordinated two special events which saw the participation of Albert Maysles (in 2001) and D. A. Pennebaker and Chris Hegedus (in 2004). In 2006 Siniscalco organized a tribute to American Direct Cinema for Engagé Documentary Film Festival in Cortona, Italy. Within this event was a round table on Observational documentary in the digital age, which saw the participation, among others, of documentary filmmakers Ricky Leacock and Bob Drew. 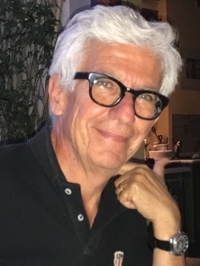 Siniscalco has directed and co-directed non-fictional films which deal with such themes as the critical reception of Antonio Gramsci, American Direct Cinema, Italian Americans, and American students in Italy. Currently he is working on a documentary on two Italian African American brothers coming to terms with their mixed cultural heritage. 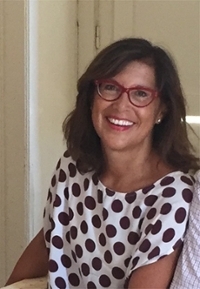 Donatella Stocchi-Perucchio is Associate Professor of Italian in the Department of Modern Languages and Cultures at the University of Rochester. She holds a Doctorate in Foreign Languages and Literatures from the University of Florence, Italy, and a Masters and a Ph.D. in Italian from Cornell University. She teaches Italian literature, language, history, and culture. Her major areas of interest are Dante Studies and modern Italian culture. She published nationally and internationally on Dante, Cavalcanti, Pirandello, and Leopardi. Her current research focuses on Dante’s political thinking and the theory of government of the Emperor Frederick II. She is also working on a multimedia Companion to Dante’s Divine Comedy. 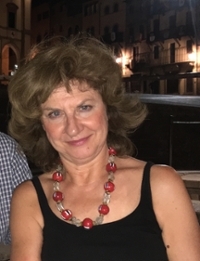 Since 1993, Donatella Stocchi-Perucchio has been the academic director of the University of Rochester Program in Italian Studies in Arezzo, Italy, that she herself founded. Paolo Vitti is a specialist in Ancient Architecture and Restoration of Monuments. He holds a Doctoral degree in Architecture and in Specialization on Monument Restoration, both from the University of Rome, Italy. He has been Tutor at the Faculty of Engineering of the University of Rome “Sapienza” since 2001. He is preparing his dissertation for the PHD on History of Roman Construction at the Aristotele University of Thesaloniki (Greece). His research and professional experience are in ancient architecture, construction history and restoration of Cultural Heritage. 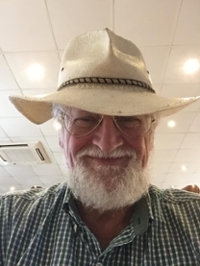 He has been working in Greece for research programmes for the Italian Archaeological School in Athens, since 2001 for the following projects: Hephestia archaeological site (island of Limnos), Thouria (Peloponnese), Krios Valley (Peloponnese), Itanos (Crete). In Italy he has been working on research programmes and restoration of many archaeological sites in Southern Italy, including Paestum and Sybaris. He has published articles on the architecture of the Alexandria Lighthouse, on the Paestum city walls and other Roman Monuments. Between 1995 and 2001 he has been working on the restorations of the Domus Tiberiana (Palatine hill-Rome) and Colosseum. He is currently working on cultural heritage in Cyprus and on the restoration of two major gothic churches in Nicosia (Cyprus).